The Eastern United States Executive City-County Wall Map is a must-have reference tool for business. Now available in many sizes and finished to meet your office needs. 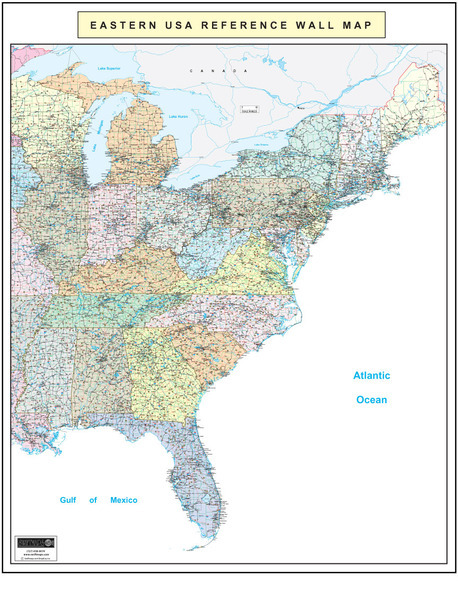 The large Eastern United States Executive City County Wall Map is the perfect wall size available in multiple working sizes from 36×48 to 60×80 inches. This map is ideally suited for the business environment. 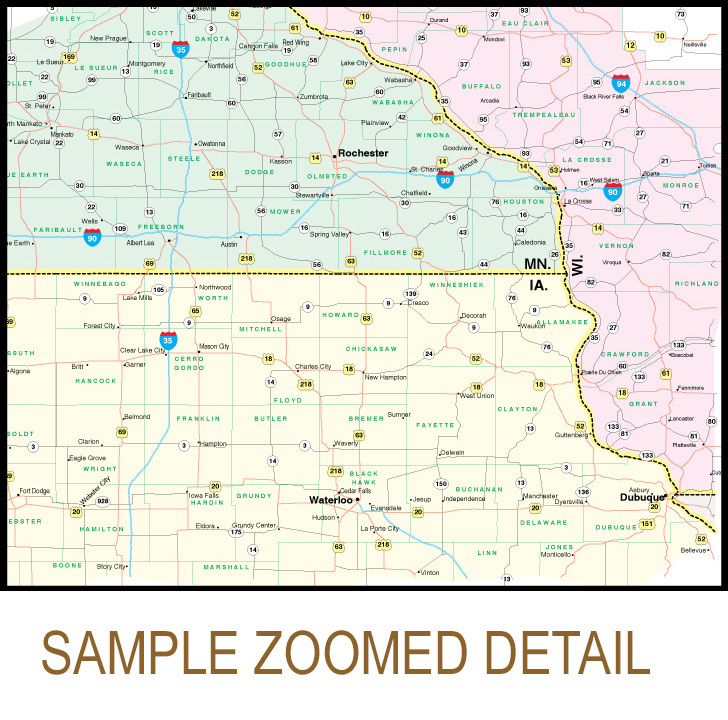 Mark your customers, plot locations/business regions or just use for traditional reference. 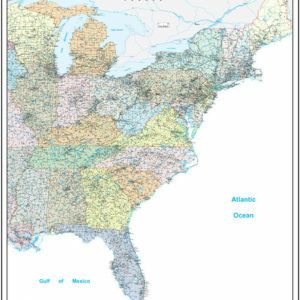 The regional wall map series from Swiftmaps includes color-shaded states. 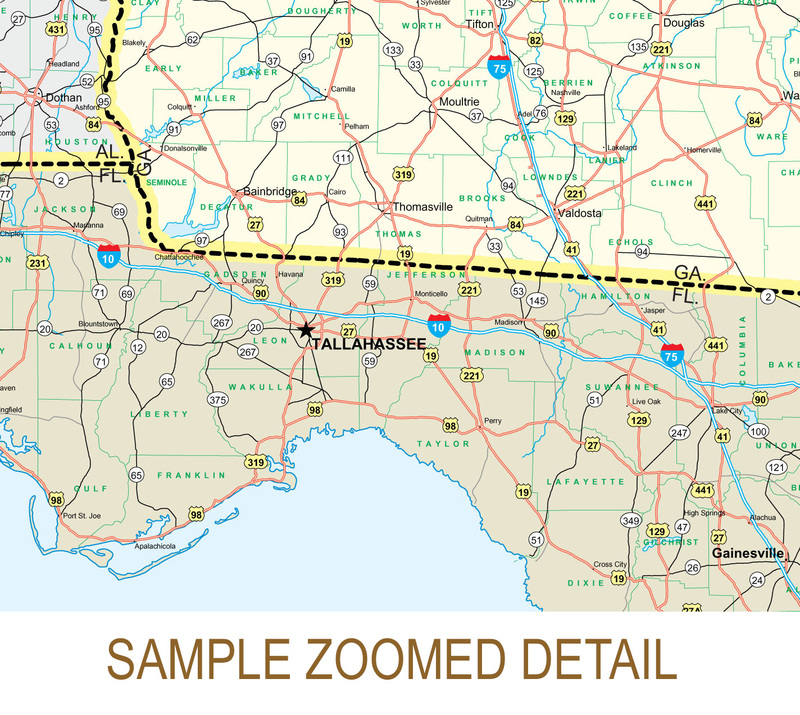 This commercial wall map shows all of the following states: Alabama, Arkansas, Connecticut, Delaware, Florida, Georgia, Illinois, Indiana, Iowa, Kentucky, Louisiana, Maine, Maryland, Massachusetts, Michigan, Minnesota, Mississippi, Missouri, New Jersey, North Carolina, New Hampshire, New York, Ohio, Pennsylvania, Rhode Island, South Carolina, Tennessee, Vermont, Virginia, Wisconsin, and West Virginia. Each map face also includes a revolutionary new UV laminated coating for years of enjoyment and dry-erase. Unlike traditional heavy film laminates – the NEW UV coated laminates stay flat without prolonged curling issue and more importantly will not crack and peel over time. 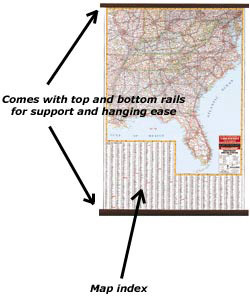 Note: only dry-erase markers should be used on gloss coated laminate maps for write-on and wipe-off!